Mark November 14 on your calendar for the Edible Centerpiece Ladies' Night and learn how to create your own unique centerpiece. Arrangements will be composed of vibrantly colored vegetables and leafy greens to create a show-stopping look for your holiday table setting. 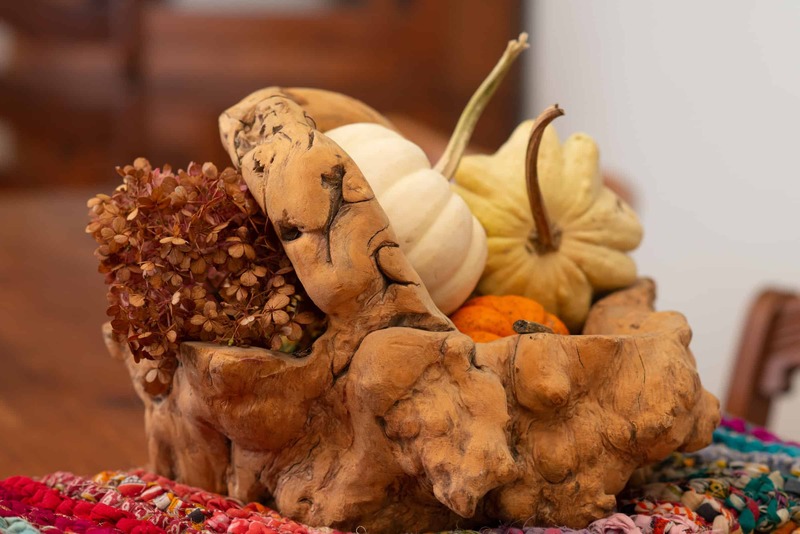 What's better is that your centerpiece will not go to waste afterward as it can easily form the base of a heartwarming and soul-nourishing soup. 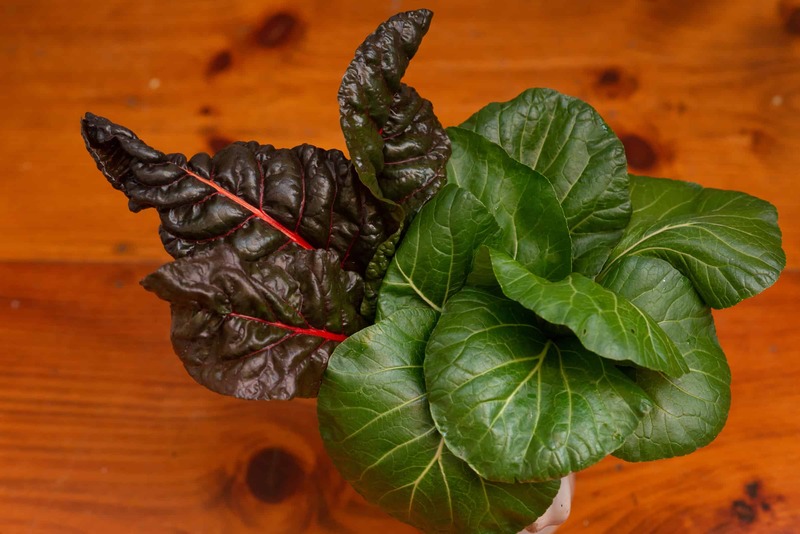 When you need a quick, simple centerpiece all you need to do is raid the refrigerator or stop in to pick up some of Drop the Beet Farms' spectacular greens. 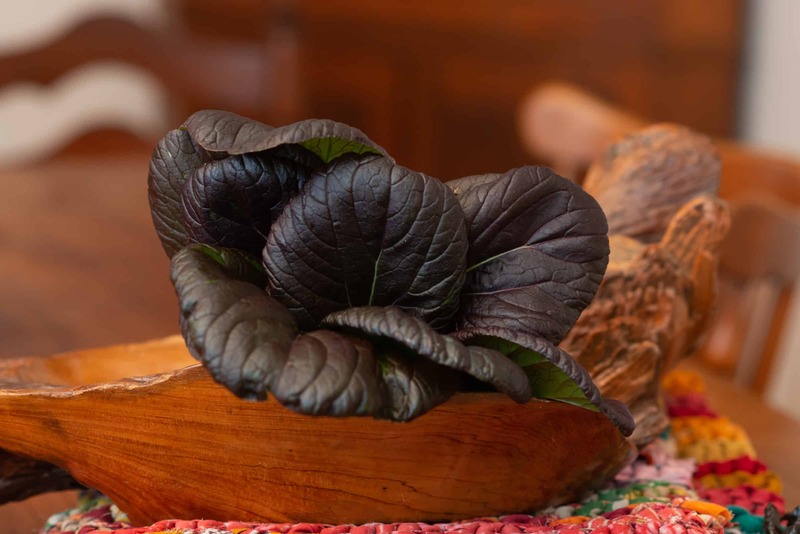 The Swiss chard and bok choy make beautiful bouquets of leafy greens—or layer them in a hand carved wooden bowl— and place on a colorful table runner. 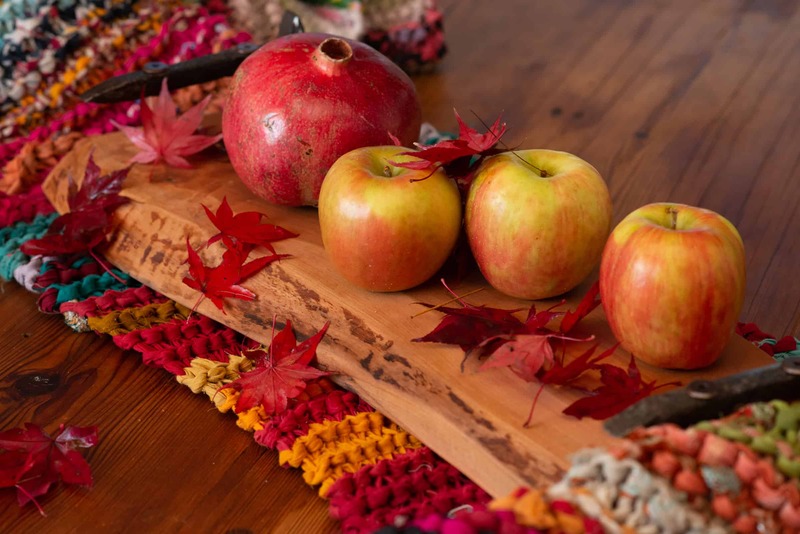 (Check out our beautiful fair trade table runners at The Barn!) 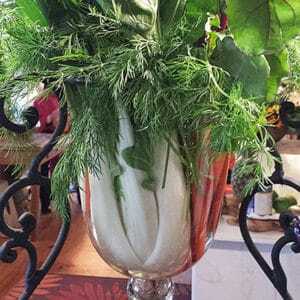 Use fresh herbs like rosemary or parsley in upcycled bottles for a splash of scent and color. As with the greens, you can use the herbs for cooking after the arrangements are no longer needed. 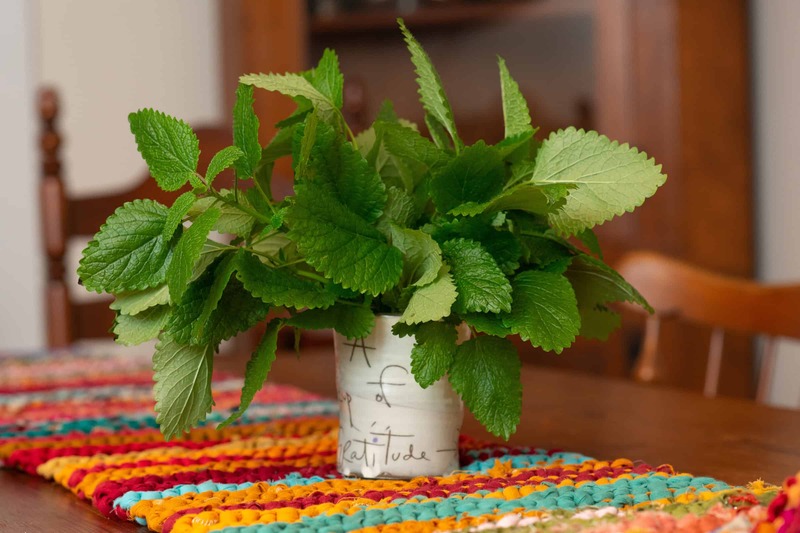 An arrangement of lemon balm will make your whole house fragrant. Place the herbs in a "cup of gratitude" (see photo below) for a reminder of all you are thankful for. The day after your festivities, use the lemon balm to make a soothing and calming lemon tea. Pour boiling water over fresh herbs and let steep for five minutes. Strain into tea cups and enjoy! Can be served hot or iced.